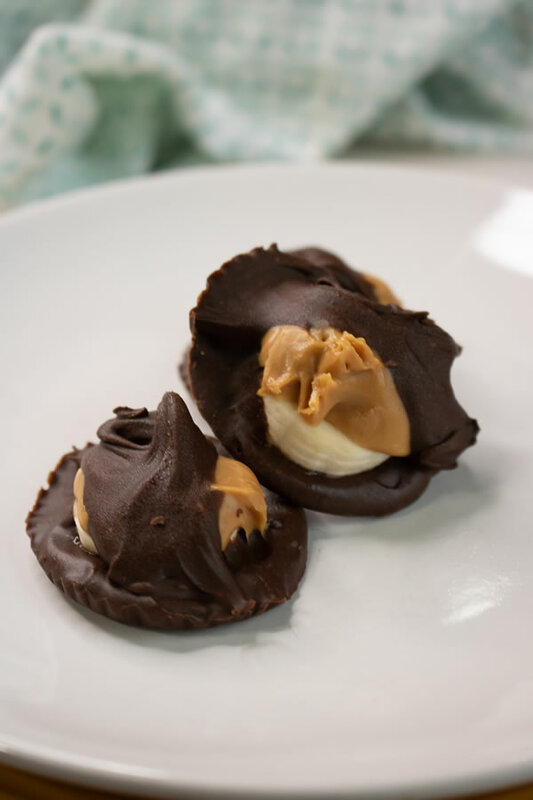 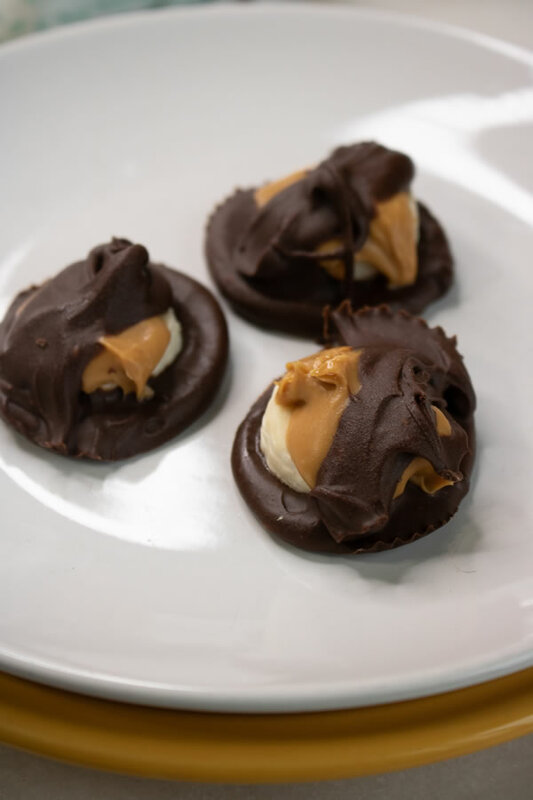 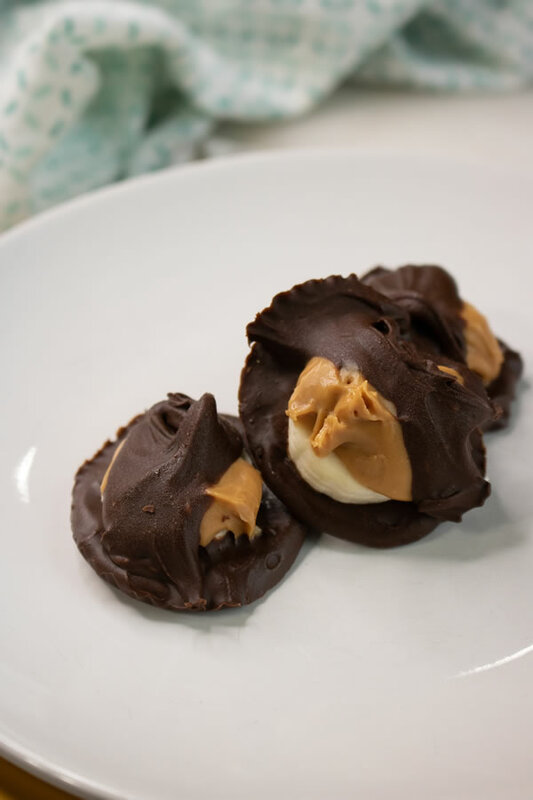 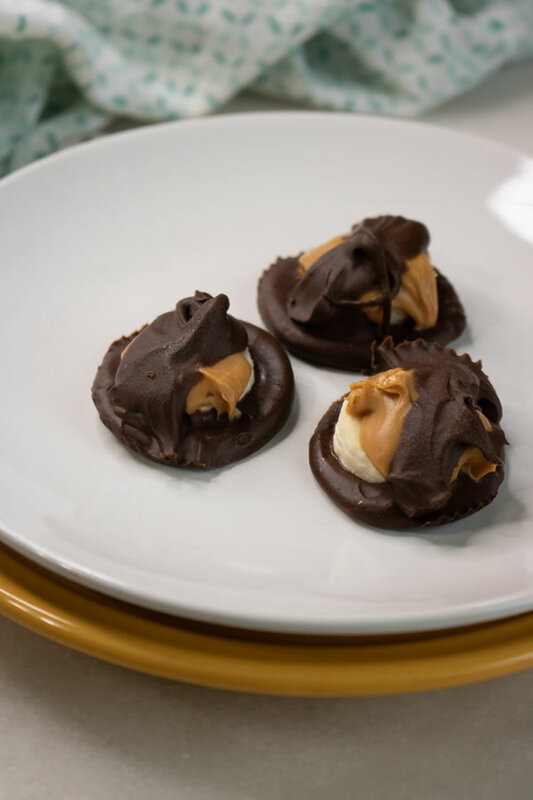 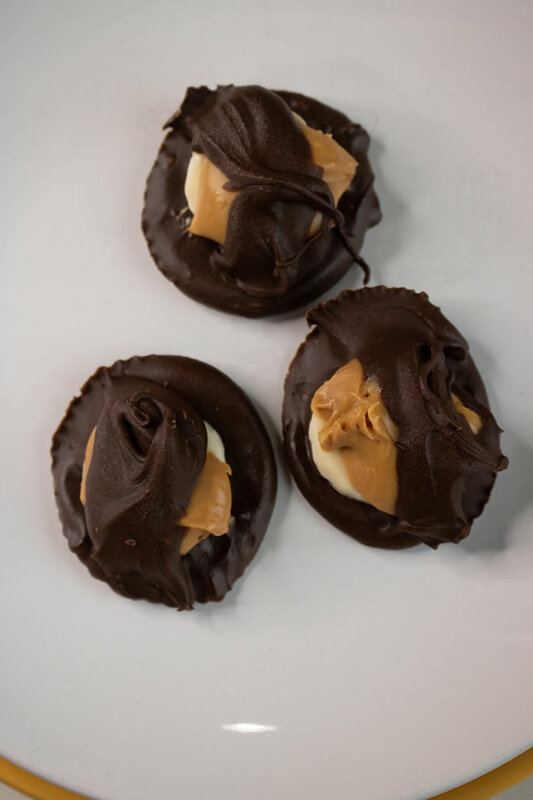 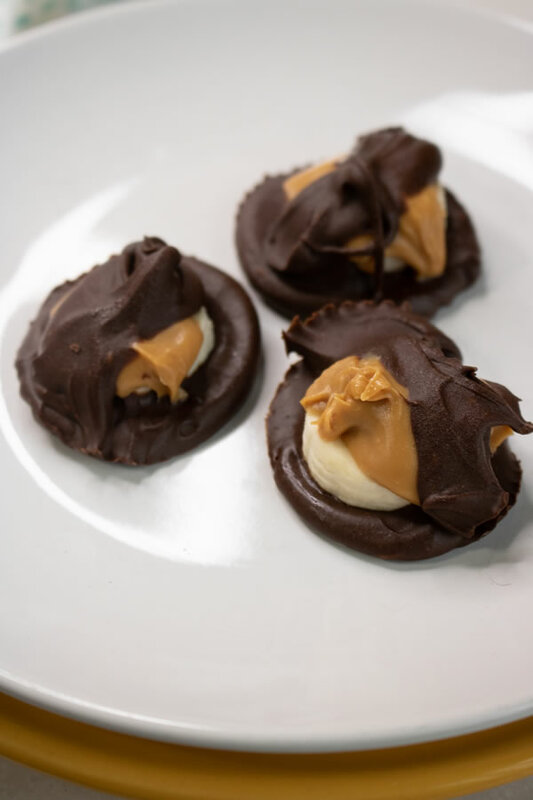 Weight Watchers Chocolate Peanut Butter Banana Bites? 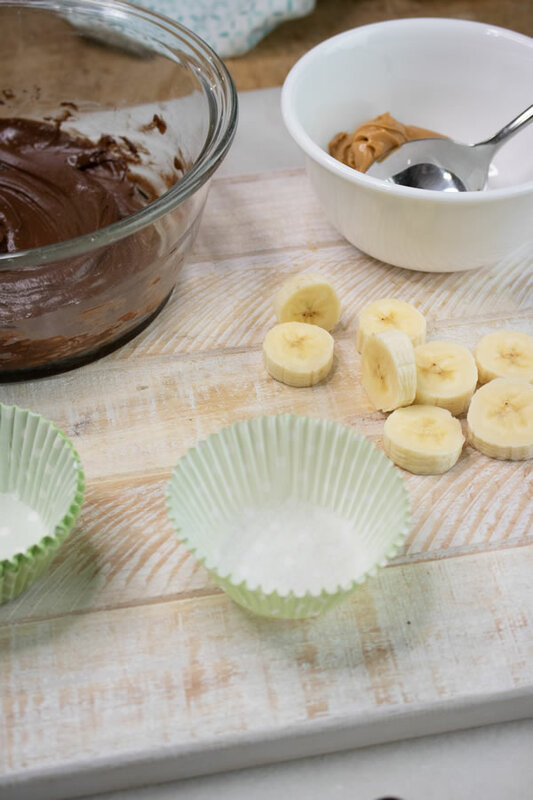 Spread out muffin pan liners on a tray that will fit into the freezer. 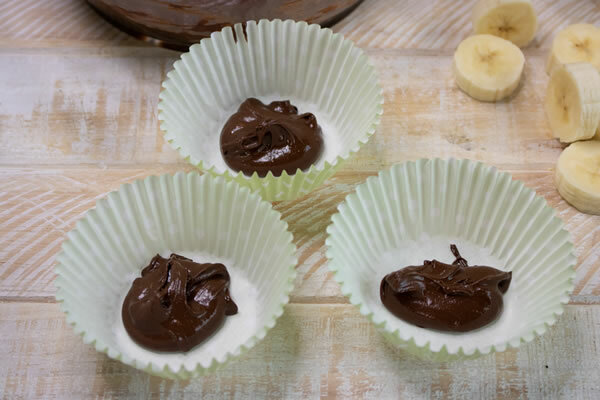 Add a teaspoon of melted chocolate into the bottom of each cup. 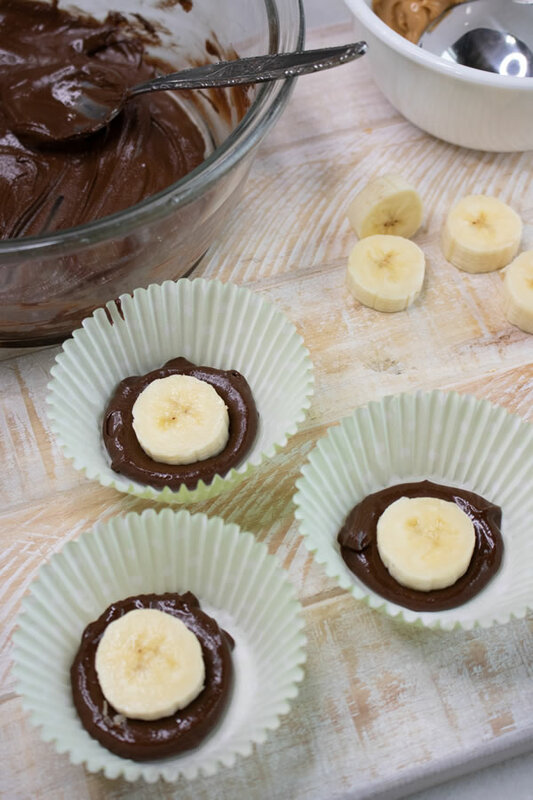 Top chocolate with a banana slice and press the banana slice down into the melted chocolate. 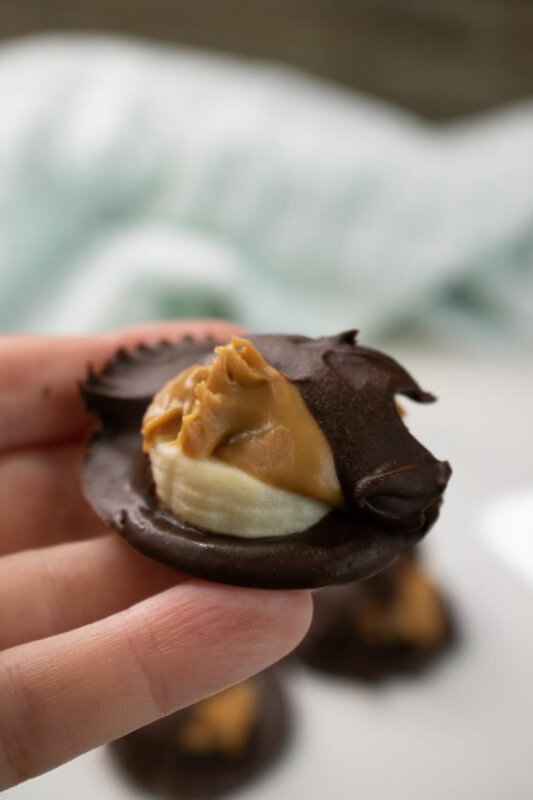 Add a drop of peanut butter onto the top of the banana and then add a ½ teaspoon of melted chocolate over the top of each.